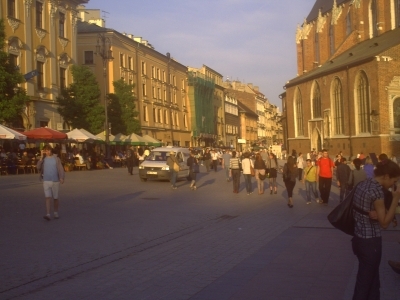 About seven years ago I moved from the US to Poland. Many people could not believe it. I moved from Boston’s Beacon Hill to Kraków, Poland. Do not get me wrong, I am a patriot. I love America but that does not mean I have to limit my life experiences. Since pictures speak louder than words, I took these photos today just walking around my house. They are nothing special but gives you a real idea what life is like in Poland and why I would want to move from the US. My grandparents came from Poland many years ago. I have always had an interest in Poland and Polish history from afar. After taking several trips to Poland I decided to study the Polish language in Kraków for a few months. But why did I move? I meet the girl who was to be my future wife. It was my destiny. We would not have stayed if I did not love Polska. The USA is about 200% to 300% more expensive than Poland for the same exact things. People are very humble and sincere, churches everywhere and people take family and church seriously. 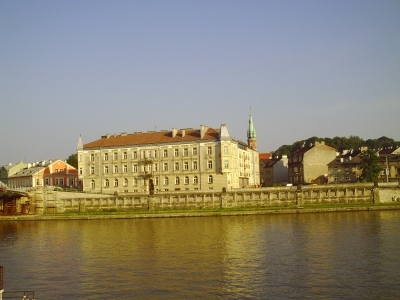 It is the center of Europe and from Poland you can go anywhere in a short distance. 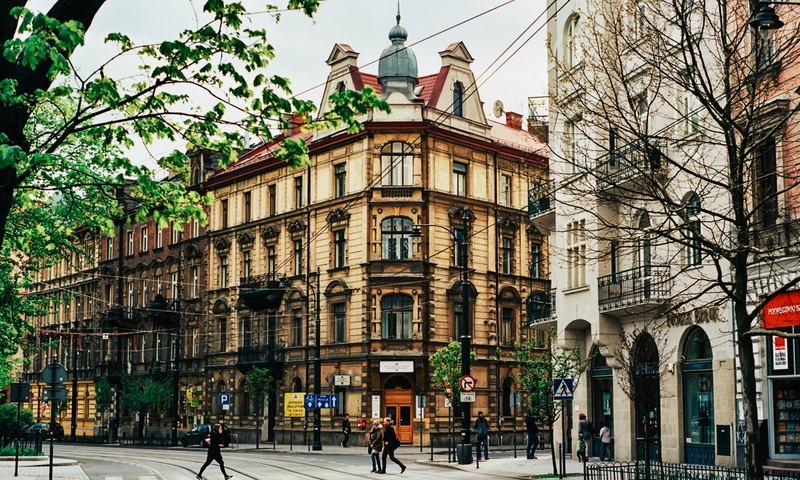 I often go to Lviv, Vienna , Africa, Greece or the Northern countries with ease. Poland has great food, if you love Polish cooking and fresh home cooked meals, you will love Poland. Fresh food in Poland tastes nothing like these large farm grown produce in the United States. Interesting history and culture and art. Countless other reasons I moved from the US to Poland. About five years ago people use to say Polish people complain a lot. I do not think that is the case much anymore. Poles are pretty optimistic and every year the economy is getting better and better. Life is pretty good in Poland. Life is real in Poland, not some something that comes in a package and is heated in a microwave. People enjoy their lives with 8 weeks of family vacations a year. The people here have a strong sense of family and values. I think in innocence and values it was like America in the early 1960s. I hope it does not change too much. Window shopping is always fun on the largest open square in all of Europe. What about consumer goods when moving to Poland? You can get anything you want in Poland and usually at a better price and quality. Many things are still made in Poland and most thins come with a two year EU warranty. 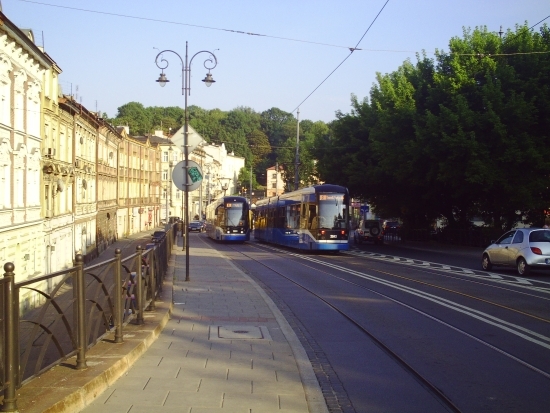 Modern Polish trams move people in Poland around their ancient cities. Basically you have a USA lifestyle that is more interesting, mentally stimulating, 1/2 to 1/3 the price more peaceful, no guns and few violent crimes, free education to the University level and health care. Polish weather is better than the UK or Ireland or many northern countries but not as hot as Spain or Italy. But that is what vacation is for and I enjoy the four seasons in Poland. It is like living in New England. Poland has mountains and the sea as well as lakes and ancient forests all very beautiful. 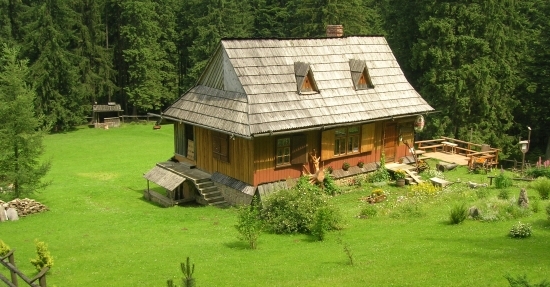 I am thinking of moving from the center of Kraków to a wooden house in the Polish countryside. I have my apartment set up like I did when I lived in the USA. It is large and furnished with Ikea, high-speed Internet. No standard of living difference. I have no idea why the expensive USA is still the ideal to live in when the world now is global. 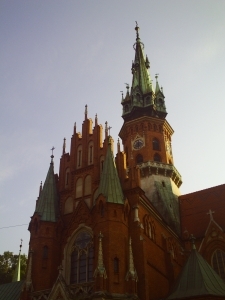 Gothic buildings are everywhere in Poland. If you need advice on moving to Poland from the USA or Canada or from where ever you live, leave a comment. If you need to know about work in Poland or a visa or citizenship I will answer the best I can. If you need travel advice, or any ideas about moving to Poland again just write a comment and I will answer the best I can. My husband and I have ancestry in Poland. I was wondering how you go about showing/proving ancestry if you are interested in moving there. I’ve always been interested in Poland because it is my family’s roots. I have never visited yet though. We are not well to do. I am a housewife and homeschooling mother and my husband is an industrial painter/insulator. We have 5 children. If we were interested in moving to Poland, do you have to have some money under your belt to start off? Yes please join the fun in Poland if you guys have Polish ancestry, just go to the department of immigration there and start the process and they will give you a temporary visa. My grandparents (all 4) emigrated from Poland to the United States before 1918. Will this be a problem for me to get citizenship by ancestry? I really loved Poland when I visited and plan to move there. I think it’d be a fantastic place to start a business because it is much cheaper than the U.S. but also offers a great quality of life. Do you have any sense of what the U.S. consulate may look for when evaluating business plans? I have around $100k I am willing to put in but am not sure this would be “credible” enough and don’t want to be dismissed prematurely; I’d rather have all the boxes checked before I meet in-person. Do you have any tips or resources you could refer me to? My main goal is to maximize the chance that the Polish embassy is supportive of me (an American citizen) starting a business in Poland (and potentially getting a work visa as a result). There are professionals that can help you with that there. The embassy even has a list of people that are CPA type people. What exactly do I have to do to move my family to Poland? I have a 1 year old daughter and we’re looking for a fresh start. It’s just us. It’s kind of scary thinking about leaving the only country I’ve ever known. But I’m seriously tired of the US. All the drug problems and everything seems like its going downhill. I just want to give my daughter a better and cultured life. I realize there are so many opportunities in the US but i cant seem to make ends meet And give us a better life. i just don’t want to be stuck in a loop. All you need is a visa. If you can get a visa you are all set. Life will be an adjustment but after that you will love Poland. Alternatively in the US you can send her to a Catholic or Christian school and teach her chess. I do not know kids that play chess doing drugs. My fathers parents are from Warsaw and my mother’s parents (Paluch) are from Lublin. They lived in the same Polish neighborhood in Cleveland Ohio. My wife and I are retired living near Wilmington North Carolina. I am not happy living in the USA anymore. Please provide me with information to start this process. You need to look at my website and the information provided, it is all about the visa process. I’m moving to Poland in December. I have several questions. Do I need to get a Polish drivers license? Are there used car dealerships there? Is English spoken consistently? Thank you. It would also be great to know someone in Poland. You can get by with English. What is the purpose of your move and how long? I’ve been reading a lot of these comments. If you could give me some input. Me and my girlfriend would like to move to a foreign country for a few years. We recently traveled Berlin, Prague, a few cities in Poland, Austria, and Hungary. We both really liked the culture in Poland. She is going to school for Physical Therapy (but isn’t in PT school yet). I was working on my bachelors degree in IT (recently taking a break). I have an associates in IT, and have at least 4 years work experience in IT and an additional 2 years experience in IT with my associates degree. I’m under the assumption that neither of us have Polish roots. Could look into it though. 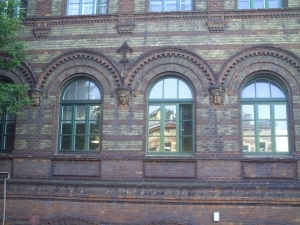 For her I found Nicolaus Copernicus University in Poland’s Torun – where she could do her school. Is it crazy to attempt this? I would like to move to a foreign country at least for a few years if not longer. All my family is in Texas. It is not crazy, as long as you are willing to be a productive member of the society though work and education and basically have your life together, there are many ways you can get a visa to live in Poland. I am super interested in receiving some advice from you regarding moving to Poland from the USA. I live in Providence, Rhode Island and my boyfriend is from Warsaw, Poland. He is here on a student visa but is graduating in May of 2019 and we are interested in moving back to Poland. I am wondering what this would entail, job questions, requirements, animals, etc.. any advice would be beneficial. I look forward to hearing from you. I am always available via email. If there is a will there is a way. I would explore ideas such as being a student or getting a work visa by teaching English at a school. I would also consider researching your European roots and getting a green card based on ancestry and connect to Europe. I know this sounds far-fetched but that is what I did. How is it with American drivers license? Do they accept it in Poland or do you need to take the test? You can drive for a while but eventually, have to take a test. You can take it in English. How was it trying to find a job in Poland as a person from the US? Next PostNext Jewish Krakow – Do Jews still live in Poland?